With the onset of the holiday season, schedules can become hectic, family relationships can become strained and emotional health can be depleted. The holidays have a way of ushering in excitement, joy, stress and painful memories all at the same time. With that, let me offer a few suggestions for enjoying the holidays. 1. Manage Your Traditions. There is something wonderful about creating and repeating family traditions. These serve to connect families together and create legacies that can endure for generations. But, traditions, if not managed, can also take on a life of their own and families can end up serving traditions, rather than the traditions serving the family. This happens when we demand that everything about our holiday must be exactly the same as it was last year, and the year before, and the year before. Traditions are best managed when we don’t make the location of the celebration, the gifts, or the menu items the heart of our traditions. Rather, focus on traditions of the heart: the relationships you get to renew each year, the conversations, the laughter, and the love. 2. Give Up the Fantasy of a Perfect Holiday. The bad news: the perfect holiday doesn’t exist. The good news: perfection isn’t required to experience a truly happy celebration. When something goes wrong, your attitude toward and response to the situation will go a long way to determining your stress level. 3. Evaluate Your Expectations. Here are three important questions: 1) What are you planning? 2) Why are you planning it? 3) Is it reasonable to expect that you can accomplish the plan? Realize that the pins you see on Pinterest are idealistic. They do not measure your commitment and love as a parent, spouse, sibling or child. Reasonable expectations are fine. Identifying expectations before holiday events can help you evaluate and adjust them to become a better fit with reality. This gives you more control over your behavior and stress level with your family members. 4. Create Some Margin. The person or persons hosting holiday celebrations are often the ones who get run ragged. It’s no “holiday” for them. Sure, for most it’s a labor of love. But it’s a lot of labor nonetheless. If most of the celebration preparations falls on you, here’s a reminder: you don’t have to do everything yourself. Sure, you probably can handle the details and tasks better than anyone else, but it’s simply not necessary. Ask for help. Give others specific tasks. Many hands make light work. Give yourself some margin and your holidays will be happier and less stressful. If most of the preparation falls on others, don’t sit by and let them do all the work. Offer to lend a helping hand. Find ways to help and get to work. You will still have time to relax and enjoy the holidays, plus you’ll be helping to make celebrations a bit happier and less stressful for others. 5. Don’t Take the Bait. Almost everyone has at least one family member who offers the special holiday gift of instigating family conflict. To them, a holiday is an opportunity for pot-stirring and button-pushing. Simply expect that some snarky comments will fly. When it happens, do your best to ignore, or make light of it. Shake it off and let it go. These comments are almost always a fishing expedition. Remember the fish that gets hooked is the fish that takes the bait. Don’t take the bait! 6. Give Thanks. With all of the preparations involved in meals, family, travel, gifts and so on, it’s pretty easy to forget the reason for the seasons we celebrate. As Christ-followers, we know that even in the midst of difficult seasons of life, that God is good and that there is always something to thank Him for. So, take at least a few moments and offer up a prayer of thanks to God. The attitude of gratitude is the foundation upon which “holy days” are built. 7. Find Ways to Give. Whether it’s the gift of a pumpkin pie to a neighbor, inviting another family to your Thanksgiving Dinner, raking leaves for the elderly couple down the street, or making a contribution to a local shelter, do something for someone else — something that your family feels good about doing. Lower any potential stresses by recognizing that this doesn’t have to be done on the holiday itself. The simple act of giving during the holiday season is likely to increase the joy and happiness of your family’s celebration. Here is wishing a very blessed Hol(y)day Season to you and yours! 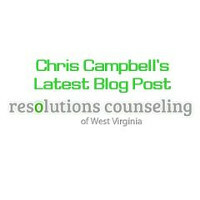 Resolutions Counseling Inc– we are here to help.